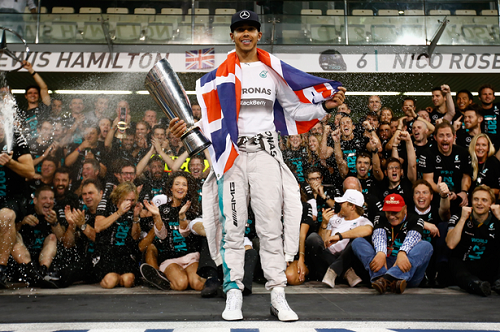 Lewis Hamilton is officially a two-time World Champion, putting him alongside the likes of Fernando Alonso, Graham Hill, Jim Clark, Emerson Fittipaldi and Mika Häkkinen. He drove an outstanding season, and performed where it mattered. He deserves all the credit and congratulations he is receiving. He is an outstanding driver and a good guy, and I am sure that now he’s notched his second Championship, the hunger for more will drive him on to even greater heights. 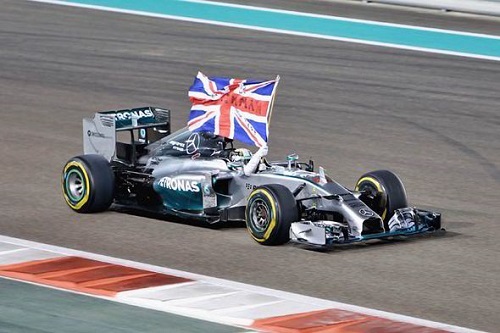 What does bother me though, is that Nico’s car was such a poor performer on Sunday. I’m not going to call any conspiracy theories or other such nonsense to the fore, that would be stupid, but I am disappointed that one of the biggest title fights we’ve seen for a while was decided not by a fight to the finish, but by the other contender’s car dying. 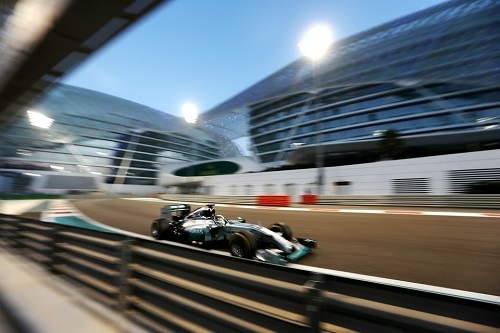 It was a disappointing end to a season that showed so much Mercedes promise. I’ll be honest enough to admit that when the season ended yesterday, I was not particularly overcome by emotion. I have ended seasons crying uncontrollably on the couch after desperate points losses and near misses by Ferrari for World titles (yes, I am that person), but yesterday I was almost rather glad it was all over. It has been torturous to watch Mercedes so completely dominate in every race (with lap times consistently around 2 seconds faster than anyone else), and I have been rather bored over the entire season. I will give credit where credit is due however, in that Mercedes built an incredible car and had two extremely talented drivers behind the wheel, making it almost impossible to catch up. But still, it would have been nice if they had been challenged every now and again (and not just because of mechanical failures). Now the naysayers will most likely say that I am just jealous that my team did not perform well, and that probably has some truth to it. Ferrari had a disgusting season, truly one to forget, their worst since something like 1967. It has been even more difficult than watching Mercedes win everything, to watch such an incredible marque, with such an extraordinary history, struggle to finish races in the points. If it wasn’t for the sheer bull-headedness of Alonso and his determination to perform, they probably wouldn’t even have finished in fourth overall. I will miss him next season and I am genuinely sad that the dream of World titles and restored glory never materialized for either the team or him. It just goes to show that sometimes the matches we deem perfect don’t always prove us right. I hope that he is still in F1 next year (McLaren-Honda anyone? ), but if not I will still follow his career closely. Another driver I hope we still see in F1 next season is Jenson Button. Consistently outperforming his teammate (yes he was a rookie, but he never really shone for me after a surprise podium in Australia), Jenson is a supreme driver, calm in all circumstances, and a magician in wet conditions, and I hope that McLaren are smart enough to acknowledge that they need someone like him to take them back to the top. 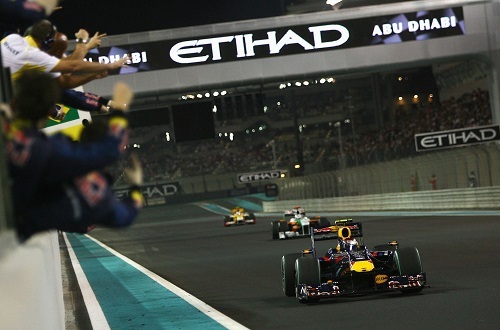 As far as standout performers go, Daniel Ricciardo is without a doubt my driver of the season. Taking everyone by surprise as he consistently outperformed Seb, Ricciardo drove like a beast, silenced the critics, and still managed to come out as a nice guy. I definitely think he is one to watch out for, and a potential World Championship is definitely in his future if he keeps this up. Seb did not have a bad season, don’t get me wrong, he just didn’t seem to adjust to the new car as well as he had in the past (something akin to Raikkonen in the Ferrari as well). He is still phenomenally talented, with four World Championships to prove it, and I am curious to see how the move to Ferrari works out for him (from my side, I hope it is a good move – I would love to see some red back on the podium!). The demise of Marussia and Caterham (even a resurgent Caterham is still a Caterham under administration) has left a bad taste in my mouth this season. It is one thing to compete in one of the world’s most expensive sports, but it is another to be drowning in debt and not be able to receive any financial assistance from the sport that put you there in the first place. I am still unsure how I feel about the whole Caterham ‘crowd-funding’ thing, but I am not sure it was the right move. Yes, it showed just how much the fans cared for the team and how badly they wanted them to compete, but where do they go in the future? Crowd-funding is great for short-term projects, but F1 is not a short-term project and soon enough the people will be unable or unwilling to keep financially supporting a team that is not giving anything back to them. I did see however, that Marussia are classified as having finished in ninth overall, which potentially means a huge sum of money coming their way, which could be enough to help get them on their feet again. The management in F1 need to take a long, hard look at the sport, and what they have done to it, and see how they can get the sport back on it’s feet. Bernie is so far out of touch it’s unbelievable he is still allowed to have any sort of say in the sport, and Jean Todt has proven to be a very weak leader of the FIA, kowtowing to some strange ideas and leaving the sport struggling to improve. I love F1 more than anything, but something needs to be done soon to stop the rot. Looking forward to the future, I hope the sport is resurgent and comes back even stronger than before. I also hope that some of the more ridiculous rules (in-season testing bans, standing restarts after the safety car, and double points) are ruled out and the sport is allowed to thrive as a sport and not a gimmick. I am excited to see what Honda can do with their engines, I hope that the struggling teams are able to pick themselves up before we lose even more talent, and I hope that the fight is bought to Mercedes. It’s been a long season, its time for a break to rebuild our strength, and refocus our dreams before we dive headlong back into the madness when winter testing starts.